In the aftermath of the FTC's settlement with Google yesterday, too many reporters fell for the line that Google used some fancy combination of executive charm and lobbying prowess to beat the federal government at its own game. You'd easily believe, from reading what has become the conventional wisdom, that Google managed to avoid any sanctions by meeting with John Kerry or paying off think tanks. What's lost completely is the real story: the merits of the Federal Trade Commission's decision. The law-enforcing agencies of the federal government are powerful, and unlike a football team, aren’t supposed to try to win at any cost; they are supposed to do what is right for the country. The Commission was right to investigate Google, right to stop the practices it did, and also right to settle the case instead of beating the firm into submission. In the end, as corporate defendants go, Google was pretty clean. What saved the company weren't the millions Google wasted lobbying Senators or paying Republicans to be its friends. It was its engineers, who designed its services in a way that maximized effectiveness while avoiding rampant illegality. 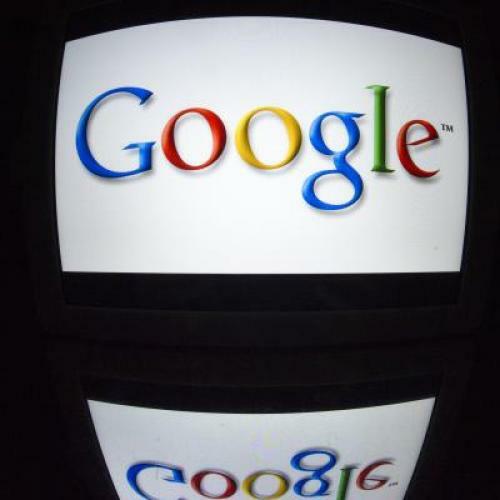 The investigation showed that some of the allegations of Google misbehavior were correct. Forget the company's misleading “one click away” slogan: Google’s market power is felt intensely by advertisers and websites. And Google hasn't always been averse to flexing its muscle in legally ambiguous ways. In an important example the firm produced clones of sites like Yelp and Tripadvisor, complete with their reviews stripped from the sites. When the companies complained, Google, it turned out, effectively presented the firms with an extortionary choice: “hand over your reviews, or delist yourself from Google.” The former was a form of slow death, the latter, high-tech suicide. The FTC was right to call foul here. It wasn’t just that Google was using its monopoly power to make money. It was more serious: it was threatening the very incentive to be the next Yelp or Tripadvisor. If tech startups know that they’ll be both cloned and their goodwill purloined, why be a startup at all? And who would bother to buy out a startup if you simply take everything it has? There is some line between invitation and extortion, and Google crossed it. The Commission also found out that Google was issuing threats based on patents that Motorola had long ago agreed to license openly as part of important industry standards. Yes, you could say that Apple’s abuse of the patent system has caused more harm to consumers, and you might be right. But the crucial point is that Google crossed another line when it messed with standard-setting processes that it is the FTC's responsibility to safeguard. In the settlement, the firm agreed to stop these anticompetitive practices. The burden should be on critics to explain why the FTC should have gone further. Many accusations, some made confidentially, just didn’t end up to be true. The Commission’s lawyers took a long hard look at literally millions of documents, and didn’t find the dirt that was said to be there. The contrast with the famous Microsoft investigation in the 1990s, conducted by the Justice Department is instructive. There, during the initial investigation, enough skeletons came tumbling out of the closet to fill the Calvary Cemetery in Queens. Microsoft was defending its operating system monopoly by conducting an all-out campaign to kill Netscape and Java. In service of that effort, it had forced its partners to stop pre-installing Netscape; rebuilt Windows specifically to force consumers to use Explorer; and secretly crippled the Java language. Google just didn’t have this kind of blood on its hands, at least at this point in its history. Yes, Google had made decisions that its competitors didn’t like, but ultimately American law favors an improved product over the protection of failed competitors; that is the standard that the FTC is obliged to adhere to. And with some exceptions mentioned above, Google’s engineers generally produced products that beat its competitors on the merits. Ultimately, it is not the job of the Federal Government to try and convince people to use Bing. More than anything else, the complaints of commentators in the aftermath of the settlement betrayed a desire for political theater. Business reporters and other fans of high-stakes litigation regret that they will not get to enjoy the drama of a drawn-out battle between Google and the American government. They long for the old style of antitrust enforcement—Standard Oil in the 1900s, Alcoa in the 1940s, or IBM in the 1970s—which was a kind of death-match between a crusty, abusive monopolist and (usually) the Justice Department. Dropping the case meant the bad guys had beaten the town sheriff. But is that really the way that antitrust should operate in this century, particularly in the tech sector? The government needs to be able to investigate serious allegations without committing itself to total warfare. An agency can aspire to something other than a game of win or lose. It can aspire to be right. The American system tolerates an information monopolist, at least until the the point at which it turns to evil. Legally this translates to the maxim that it is not a crime to be a monopolist; it is a crime to abuse your monopoly power. And so the real lesson of the Google case is this: The best way to avoid an ruinous antitrust lawsuit is not hiring lobbyists, but obeying the law. Tim Wu was senior advisor to the Federal Trade Commission from 2011-2012.